Reza Jalali’s happiest memories from his childhood in Iran are celebrations of Ramadan. 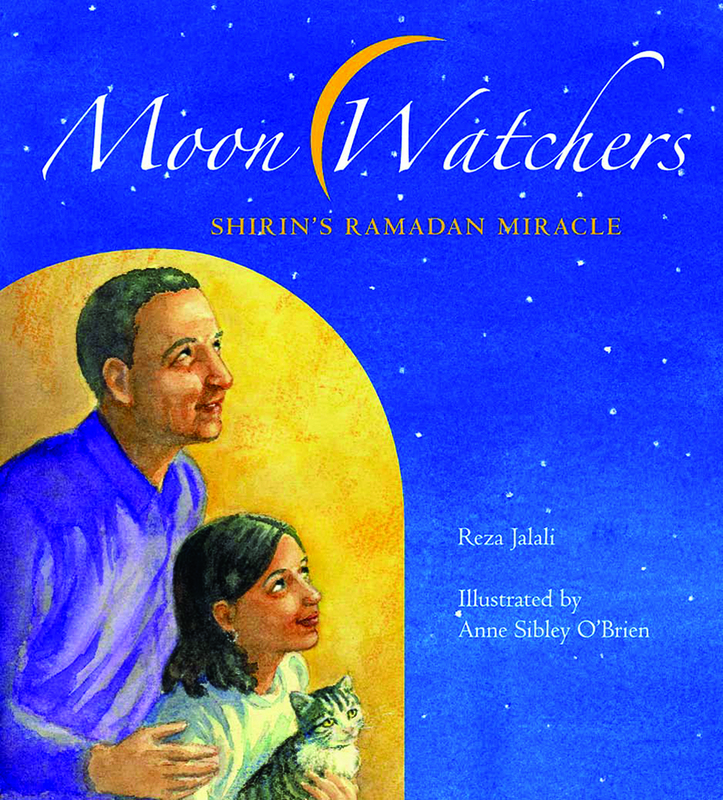 Each year in Maine as he follows the progress of the moon during the Muslim holiday, Jalali remembers with a laugh how as a child he was “fascinated by how the moon seemed to follow me around.” These memories and his hope that his children will always remember their own Ramadan stories inspired him to write the children’s picture book, Moon Watchers: Shirin’s Ramadan Miracle (Tilbury House). Maria Padian remembers her childhood holiday celebrations being a “blizzard of accents” and an unusual combination of dishes served–Irish soda bread beside Spanish rice. With both sides of her family coming from immigrant backgrounds, Padian watched with interest the arrival of new immigrants in her town in Maine. She wondered how these Somali newcomers, black, Muslim and often non-English speakers, would fare in their new surroundings. Her young adult novel Out of Nowhere (Random House) resulted from these curiosities and through many conversations with Lewiston and Portland youth. Moon Watchers and Out of Nowhere will be celebrated in a Ramadan celebration and education at the Portland Public Library in Monument Square on Friday, August 2, 2013 ongoing from 5:30 PM-9:30 PM as part of a city-wide read entitled “I’m Your Neighbor, Portland.” Attendees can have their name written in Arabic, henna painted and visit a prayer rug exhibit. A panel discussion with author Reza Jalali, illustrator Anne Sibley O’Brien, and author Maria Padian will explore how their knowledge of Islam grew through community relationships and research for their books. At 8:15, all are invited to break the Ramadan fast with catered food from Tandoor Bakery and Restaurant. The event is free of charge. All ages and faiths are invited. For more information, contact Curious City at 207-420-1126. “The event will offer a great opportunity to learn about Ramadan, one of Islam’s Five Pillars, while meeting our Muslim neighbors, who call Maine home,” says Reza Jalali. Moon Watchers is a children’s picture book that offers an inside view of daily life of a modern Muslim family in Maine during Ramadan. Shirin and her older brother Ali have a history of not getting along so when she catches him sneaking food one afternoon during his Ramadan fast, she is faced with the choice to tell on him or mind her own business. Readers from all faiths will appreciate this universal story with its thought-provoking focus on family life. The picture book is illustrated by Peaks Island children’s book author and illustrator Anne Sibley O’Brien. 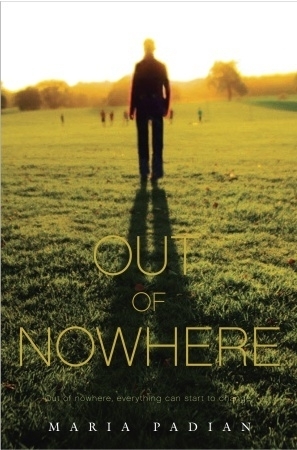 Out of Nowhere is told from the perspective of Tom Bouchard, a Franco-American high school teenager who seems to have it all. However, his life suddenly turns upside down when Somali refugees begin migrating to his small town home in Enniston, Maine. Not everyone in Enniston welcomes the new Somali residents and when Tom screws up in a big, way he must grapple with a culture he does not fully understand and take responsibility for his actions. 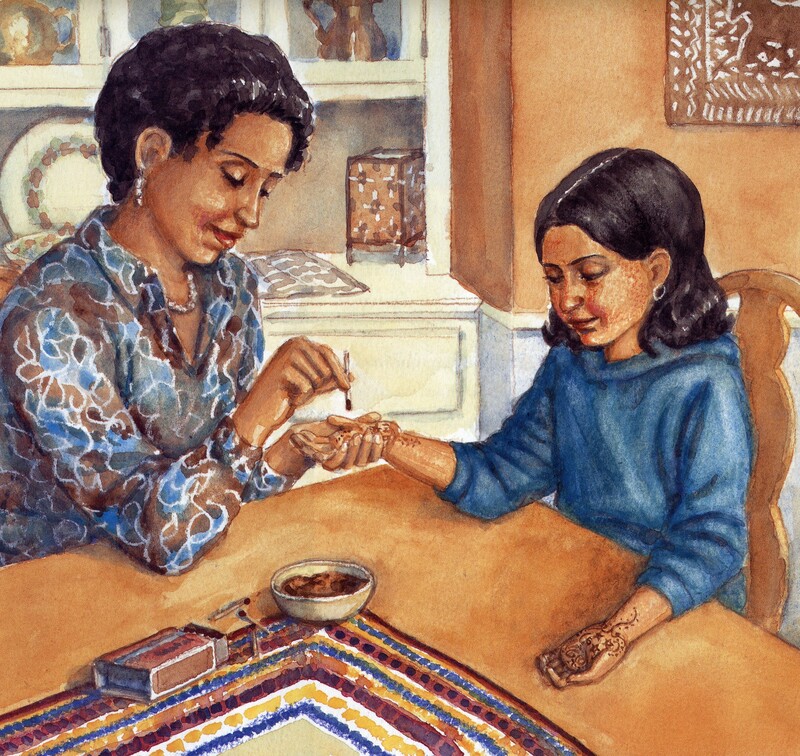 The Ramadan celebration and education allows families of all faiths and backgrounds to engage in conversation with and explore Islamic practices. Through breaking the fast together, a sense of community is created through the common act of sharing food. 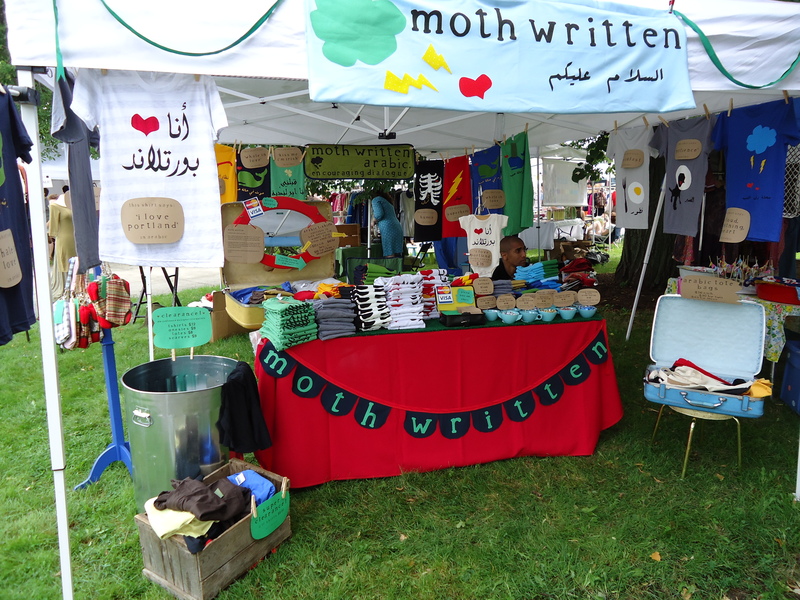 Stop by moth written at the Old Port Festival in Portland, Maine this Sunday, June 9th! They will have a booth selling their line of t-shirts, bags, pins featuring saying such as “Kiss me I’m Irish” and “Whales in love” in Arabic. moth written is the brilliant designers of the I’m Your Neighbor, Portland logo. moth written is the project of Mary E. Robbins and Nabil Sibouih, a “Moroccan-American marriage in Maine.” In Morocco, a moth is a good omen. Mary and Nabil honor their family there by encouraging positive dialogue about the Arabic speaking world through the creation of t-shirts, bags, and pins in Arabic. Look what arrived! 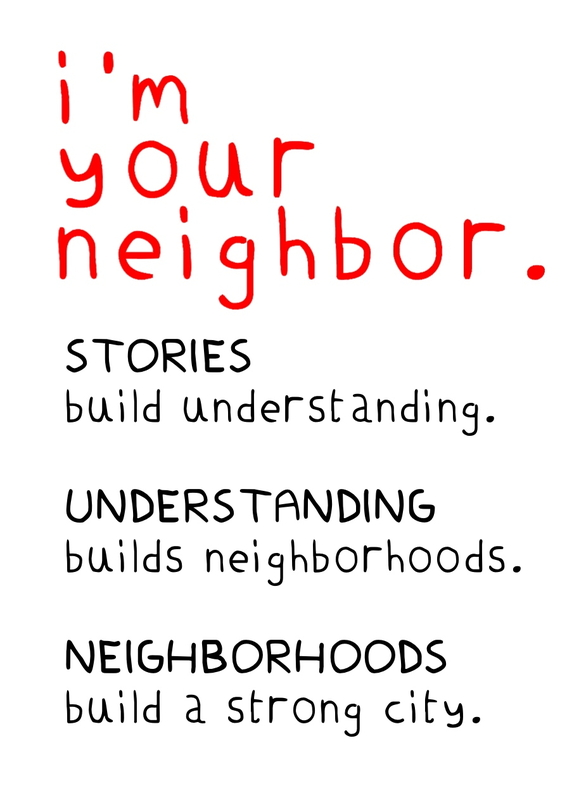 Mary E. Robbins and Nabil Sibouih of moth written made this beautiful image for I’m Your Neighbor, Portland and I’m Your Neighbor Books. 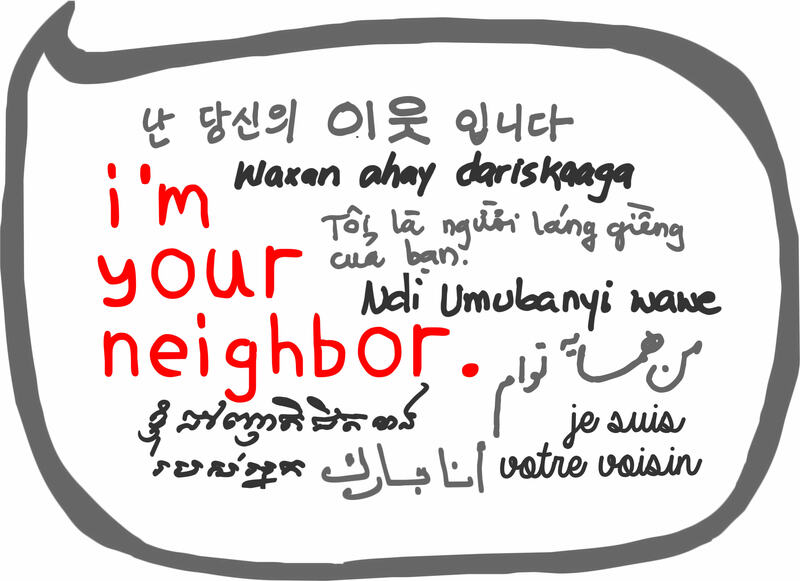 The phrase “I’m Your Neighbor” was collected in different languages by author/illustrator and I’m Your Neighbor, Portland advisor Anne Sibley O’Brien from Portland Public Schools’ Multilingual and Multicultural Center staff and from friends of Mary and Nabil. moth written is a “Moroccan-American marriage in Maine.” In Morocco, a moth is a good omen. Mary and Nabil honor their family there by encouraging positive dialogue about the Arabic speaking world through the creation of t-shirts, bags, and pins in Arabic.